Low-carb diets are increasingly known as a quick method for weight-loss. These diets feature foods that are high in protein, with varying amounts of fats and reduced carbs. Although carbohydrate consumption varies among plans, most low-carb diets restrict carbs in the form of grains, breads and flours. Fruits and vegetables are typically allowed to provide energy and essential nutrients to the body. However, low-carb dieters who include healthy whole grains in their diet are more apt to achieve long-term success with this diet. Including low-carb foods such as bread is a healthier way to include carbs in your diet without affecting weight loss. Carbohydrates have been given a poor reputation by many low-carb diet plans, which claim they hinder weight-loss efforts. However, not all carbs are created equally. 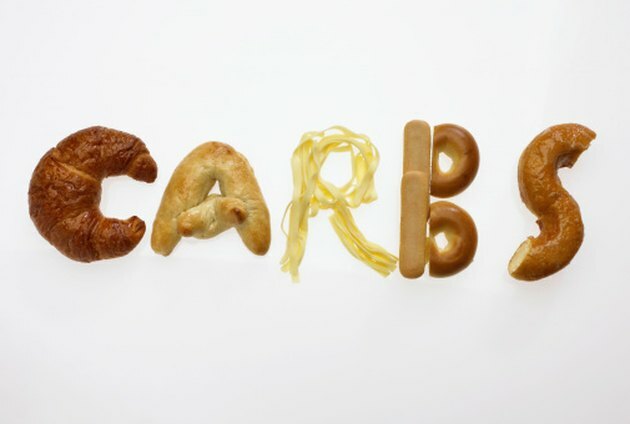 Simple carbs are typically processed, refined foods such as white flour, white breads, candy, cake and cookies. These foods are low in nutrients and higher in sugar than other foods. In contrast, complex carbs retain their nutrients during the milling process and are a source of essential vitamins and minerals including the B vitamins and iron. Low-carb dieters should avoid breads that are made from white flour or enriched flour and seek out products made from whole grains or a source of fiber. Breads that contain low-carb ingredients such as nuts and seeds are a healthy addition to a low-carb diet. Nuts and seeds are high in protein, a source of healthy fats and have minimal to moderate amounts of carbs. Their fiber content coupled with protein help to satisfy the appetite to prevent hunger cravings that lead to over-eating. According to Yoga Journal.com, a single-slice serving of French Meadow Bakery's Men's Bread, which contains flax, sunflower and sesame seeds, provides 89 calories, 6 g of protein and only 9 g of carbs. In comparison, typical breads on the market have from 20 to 60 g of carbs in a serving. Breads that are made from flours other than white, all-purpose and even whole-wheat flour may be lower in carbs. Coconut flour is a low-carb flour that is high in fiber and also higher in protein than whole-wheat, rye or corn flour. Coconut flour is made from ground coconut and can be used to make breads, cakes, pies and cookies. According to Dr. Bruce Fife, N.D of Pure Zing.com, one cup of shredded fresh coconut contains 9 g of fiber and only 3 g of sugars and starches, known as digestible fiber. Numerous low-carb products on the market range from pasta to cookies to breads. Look for bread mixes in your grocery store aisle to find a mix that is labeled specifically low-carb to supplement your diet plan. Bob's Red Mill is one company that provides a low-carb bread mix that consists of high-fiber oat bran, wheat bran, whole-grain flaxseed meal and high-protein soy flour. One slice of the finished product yields approximately 90 calories, 11 g of protein and a mere 9 g of carbs.